When we opened our Kingston Pike location in 1996, we knew we had enough space to hold swap meets in the parking lot. Swap meets are like a flea market- a place to bring your old parts, accessories, gear and even your ‘for sale’ motorcycle. Plus swap meets are a place to find some great deals. Anyone who rides for awhile knows that eventually you end up with a garage full of stuff you no longer need or want. A swap meet is the place to recycle that stuff and find new stuff. 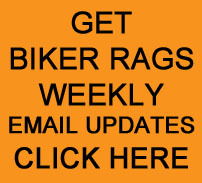 Set up and admission at Biker Rags Swap Meets is always free and everyone is welcome. We schedule swap meets on the first Sunday of every month. Vendors are encouraged to set up at 9am and the meets starts at 10am. The meet ends when all the vendors are gone, usually around 3pm. We always post our Swap Meet schedule on our Calendar page HERE. You can also sign up for our Email Updates HERE and we will send you a notice prior to the date. If you’ve never been to a Biker Rags Swap Meet, come by next time we host one. It’s a lot of fun and you might just find that very thing you’ve been looking for.